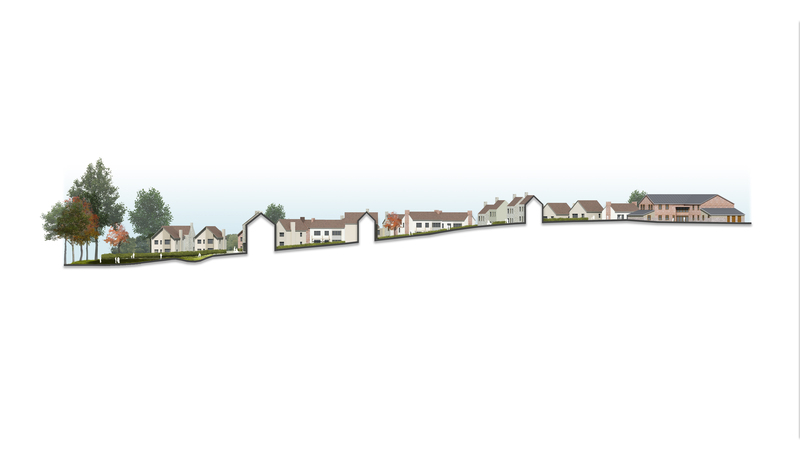 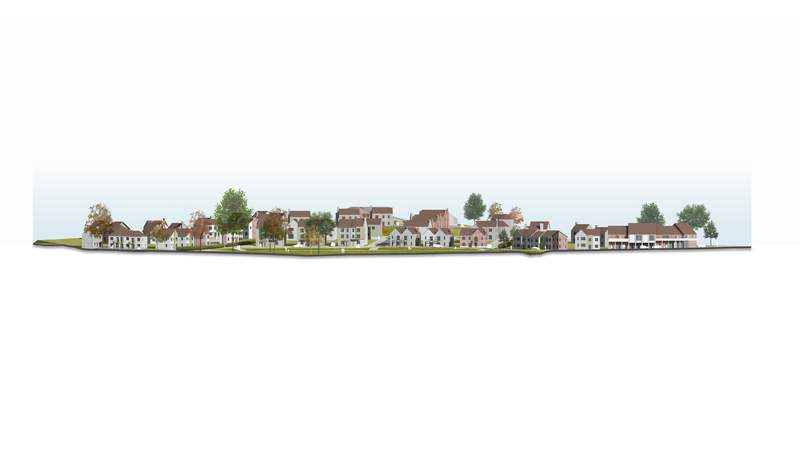 A sensitive mixed use development of 72 dwellings also providing a new super market and children's nursery on site. 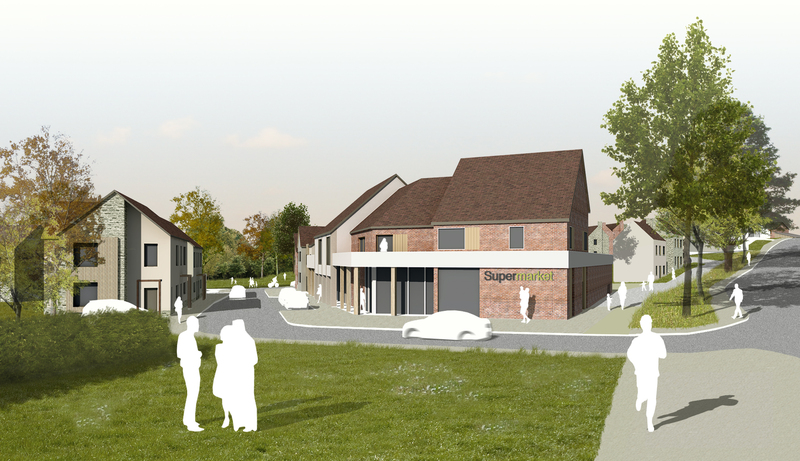 The proposal also provides a new super market and a community hub including provision of a children’s nursery. 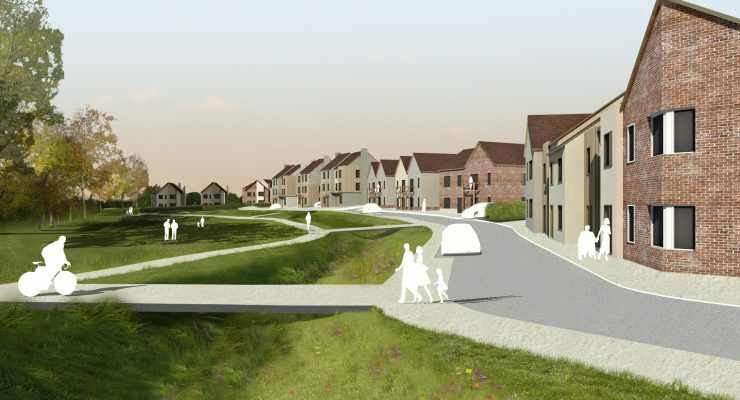 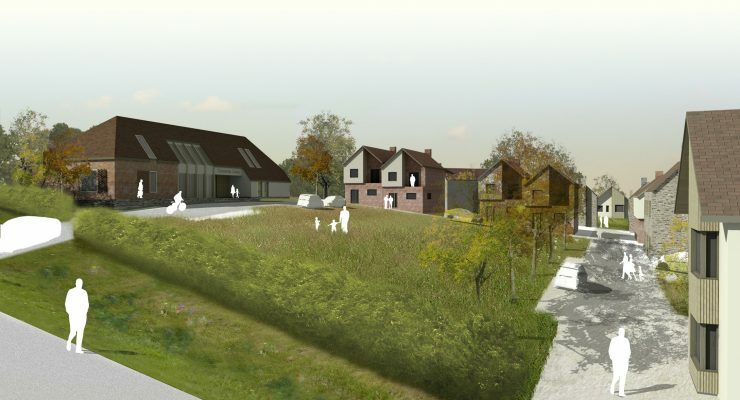 The proposal provides a mix of uses on site to meet the needs of the community. 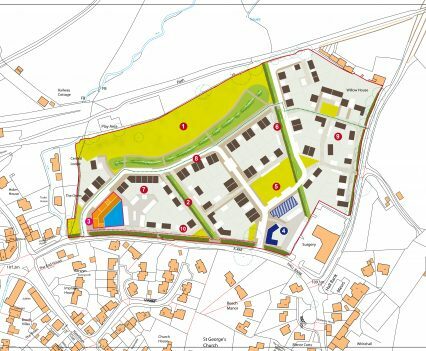 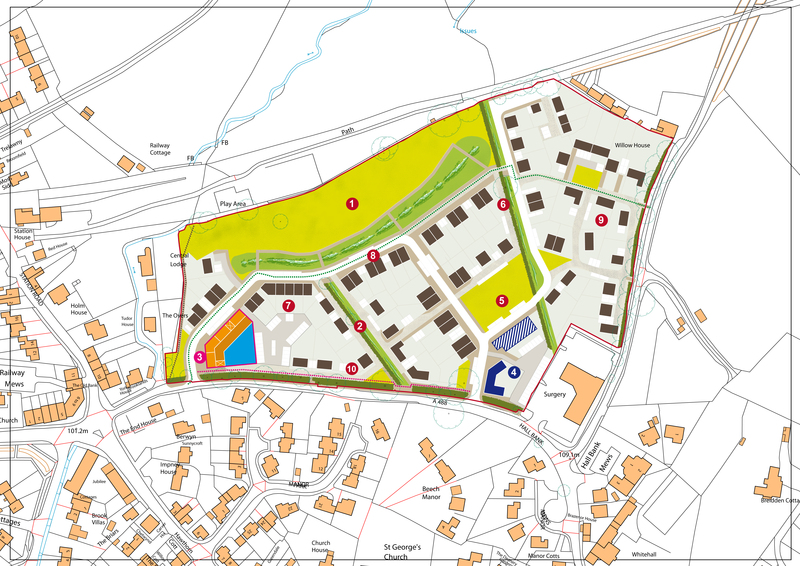 On the edge of this Shropshire village this proposal had to overcome a number of challenges including a large flood risk zone, complex access arrangements and protected trees. 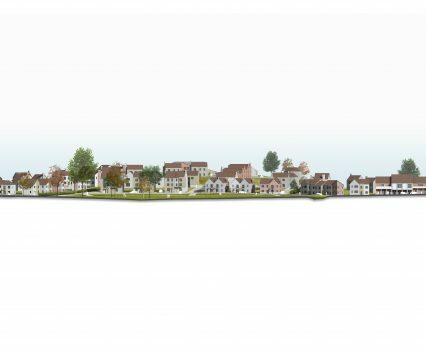 Hilton Barnfield Architects have worked closely with both David Hawes Urban Design and Savills – Smiths Gore in preparing a masterplan for the site to be submitted as part of an outline planning application for development. 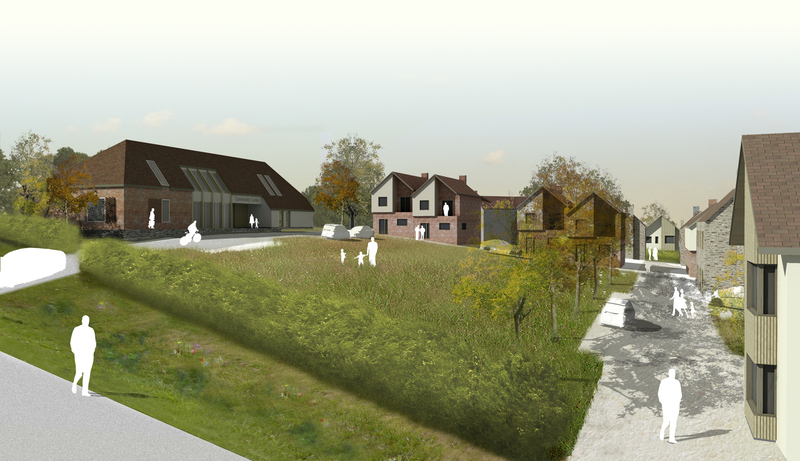 The proposal provides a mix of uses on site to meet the needs of the community. 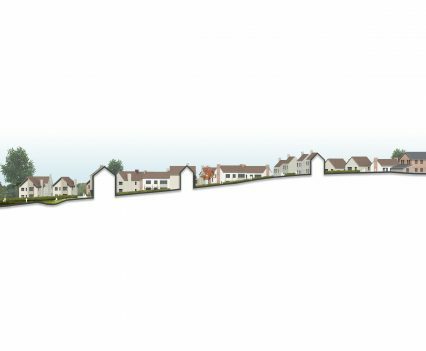 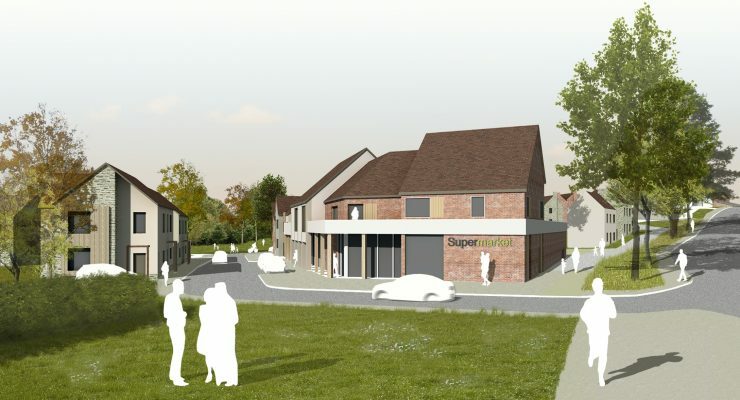 Alongside a variety of housing types ranging from first floor apartments to large detached family homes the proposal also provides a new super market and a community hub including provision of a children’s nursery.